Over the years, the designs of certain areas of the home have changed dramatically and in no area is this more apparent than in the design of the bathroom of the home. In previous years, many individuals choose a small area of their home for the bathroom and combined the bathtub and the shower to conserve space in the bathroom. Many individuals are now choosing to separate the bathtub and the shower into separate sections of a larger room and many are choosing doorless shower designs for the creation of their separate showers. It has been estimated that nearly 85% of the individuals in the market to purchase a home today are interested in a separate shower area in their bathroom. Because a separate shower is so highly desirable to a large percentage of individual looking to purchase or remodel their home, many manufacturers and designers have created a number of doorless shower designs for the homeowners to choose from. 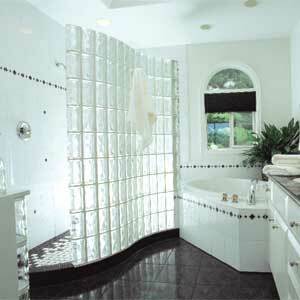 These doorless shower designs can be created from a number of different materials, including glass blocks or ceramic tiles. Many doorless shower designs have a small walkway area leading from the entrance of the shower to the actual shower area. This helps to keep all of the water within the shower area and insulates the person in the shower from the gusts of air that could chill the body while in a warm shower. The designs often have a raised lip at the entrance of the shower to prevent the water from running out of the shower instead of down the drain. A homeowner has two choices when it comes to installing a doorless shower design within the bathroom area of their home. The first option is to hire a professional contractor who will help map out the design for the homeowner according to the space that is available and build the complete shower design. This option can be quite expensive, but the homeowner will have the doorless shower that they desire. The other option for the homeowners is to create the doorless shower themselves as a do-it-yourself home improvement project. This option is much less expensive than hiring a contractor to do the job, but if the homeowner is inexperienced and encounters a lot of problems with the installation, this option may cost the homeowner more time and money than they are willing to spend. There are many resources that can help an individual create a doorless shower design for their home and these resources may help the homeowner navigate through any issues they encounter.